Awesomest idea of the week — break a glow stick in half + pour glow goo into a jar + swirl = instant lantern! :D Spotted on Pinterest. Another light fixture idea involving bottles. Festive! From Taste of Home. More cool‐looking lights! 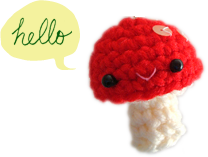 Tutorial for adding a beaded wire tree to a night light from …Squirrel! Awesome way to repurpose old leather purses and other leather scrap. How‐to on Design by Night. This is so cute! 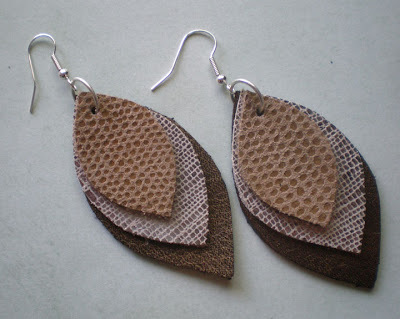 Another way to recycle leather things. Tutorial on Cation Designs. For when you need a friend… Monster pet rocks from The Cocoa Bean Blog. Love the simplicity of this. 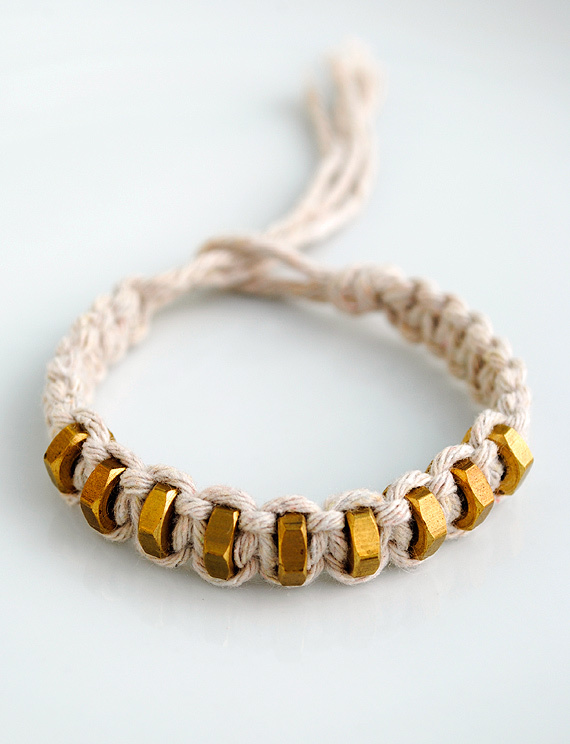 Hexnut and macrame bracelet — tutorial on Minieco. This is apparently an Anthropologie knock‐off. Anthropologie appears to be all the rage in the States but I don’t think I’ve seen one in Toronto yet… could be because I avoid malls. Knock‐off or not, I just think this is really pretty! How‐to on Kojodesigns. Isn’t this brilliant? Both a candle holder and a planter — the plant is really planted and growing in the pot! How‐to on Family Chic. 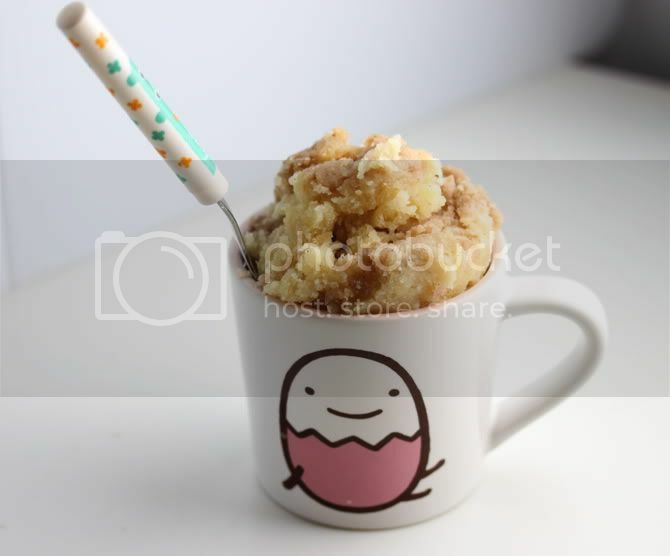 Coffee cake in a mug in under five minutes! Must try! Recipe on Prudent Baby. Have a wonderful evening, everyone! Well, you made my day with the coffee cake recipe link; oh my. Tomorrow: one for me, one for hubby. Love the idea of a little something sweet.